Our day school is an accelerated educational institution that caters to students between the ages of 12-17 who are deficient in their literacy and numeracy and are therefore functioning academically, far below their age group. We work with our students over a four-year period, assisting them to gain re-entry into the traditional education system through the Grade Nine Achievement Test, or enter into other academic or skills development programmes. ​An annual fee of $10,500 is charged for books, tuition, insurance and school ID. Sponsorship for fees and lunch are sourced for needy, deserving students. It is very important that our students are well nourished so that they can focus on their lessons. Each student is provided with a meal for a subsidized cost. For $100.00 JMD a student receives breakfast and lunch. None of this would have been possible without the generous donations in cash and kind to our feeding program. We currently receive groceries every month free of cost from the Whole Food Health Store as well farm produce from Restoration Village Farm. The produce from the farm goes a long way as we share with a neighboring school and the elderly in the community. Our teachers also receive their meals free of cost as a result of these donations. 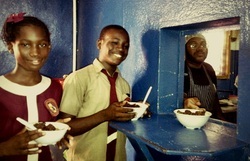 Continued sponsorship of meals will enable children to eat healthily when they attend school. In fact, the meal we provide is often the only satisfactory meal a child receives for the entire day. Sponsorship of £20.00/$30.00 USD per month will help to ensure that no child attending school goes without a meal each day. 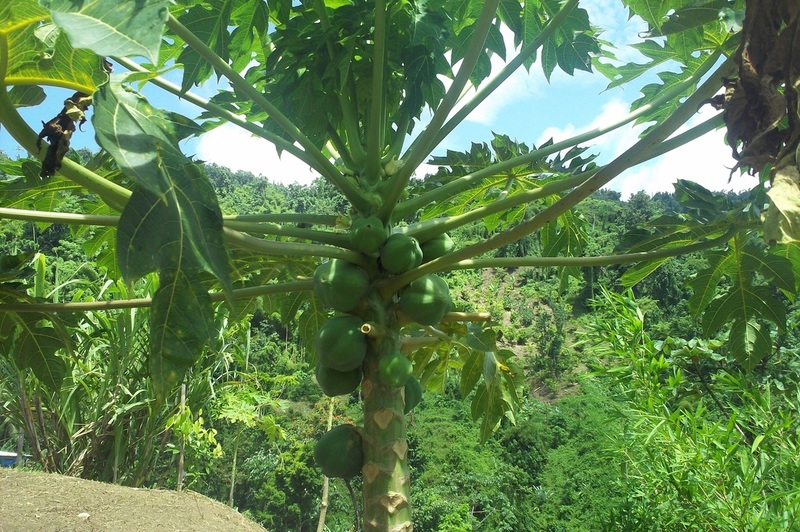 Restoration Village Farm, Portland, Jamaica - This beautiful property nestled in the hills supplies has been faithfully supplying the school with produce for the school feeding program. To promote self-reliance, especially among older students who are unable to attend high school, the school has offered training in skills such as leather-craft; cosmetology and back-yard gardening. Cosmetology-A number of students have gone on to operate their own businesses and one young man now operates a salon in the community and has been so successful that he now employs a staff of three persons from the community. An older news report on CVMTV highlighted the success of a teenage mother who was proud to relate that with the money she earns from manicures and pedicures she is able to support her daughter while still attending school. 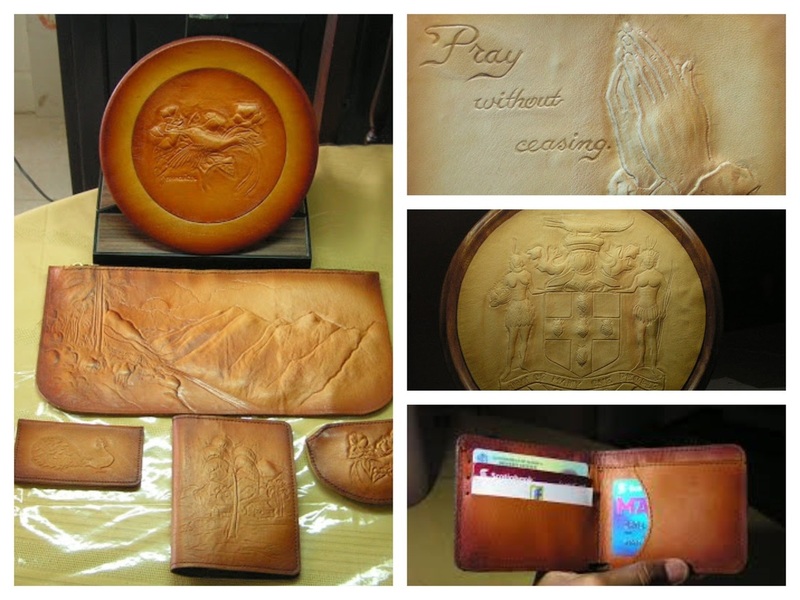 Leather craft When this training was being offered it outgrew the school and was under the umbrella of the very successful entrepreneurial programs being operated by Pastor Harry Walcott under the leadership of Dr. Henley Morgan. We have, in the past, received orders from the Sandals Hotel for various gift items for their guests. We also received orders from overseas sponsors. 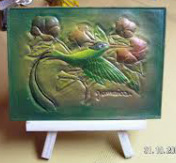 We are now hoping to source more materials and a trainer to re-start the leather craft workshop so that we can take advantage of the overseas market in the future and more importantly provide employment in the community. Backyard Gardening of vegetables has assisted us with providing meals for our students while giving two older students opportunities to work to earn small weekly stipends. 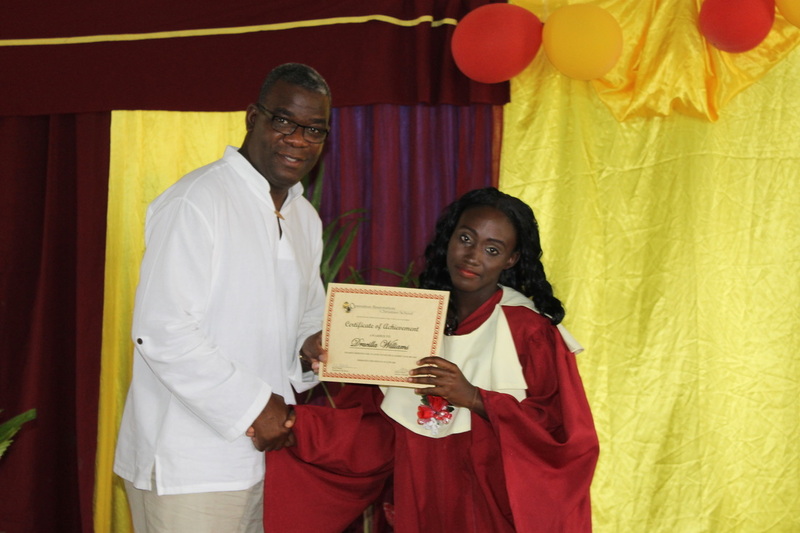 We have been operating the incentive awards programme for several years and it has grown in popularity among students. The programme is designed to encourage students to appreciate the rewards of hard work, discipline, punctuality, regular attendance, proper attire, assertiveness. Additional points are given for initiative and good behaviour. It is such a source of pride when, at the end of each term or school year, a student has acquired sufficient points to be able to "buy” anything they want from donations we have received. In store, we have school books, school supplies, toys, toiletries, shoes and clothing for themselves and family members. Points may also be earned toward excursions to places such as Reach Falls and field trips to museums, art galleries, etc. The incentive awards programme also instills a sense of independence in their hearts and motivates them to become better students. 1. Item Donations - clothing, shoes, stationary, games, toys, toiletries. 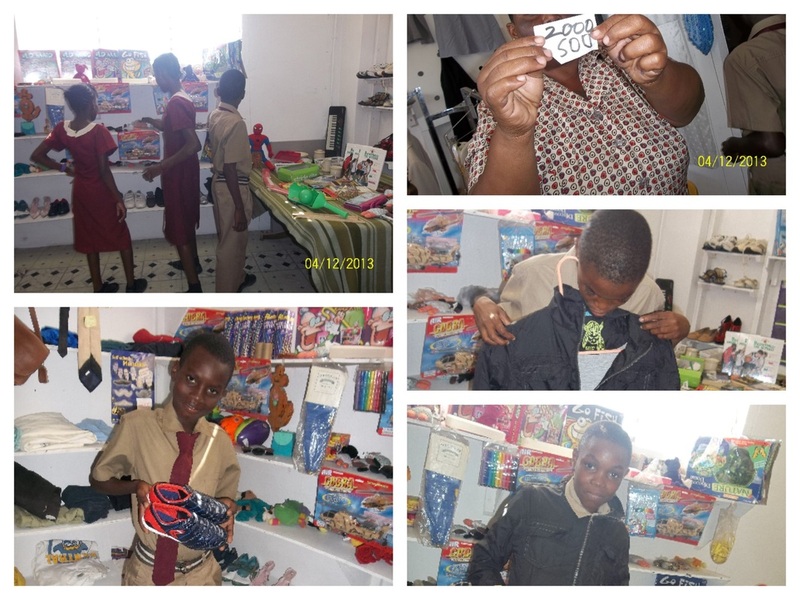 Students browsing in the incentive store; Ms. Merlene holding up shopping points earned by a student; Boys posing with their selection. The after school programme started with 10 students in 1994 and was the first activity offered by Operation Restoration Centre. This program is not limited to students from our school. Students attending other primary and secondary schools have recorded significant improvements in their academic and social performance subsequent to participation in our after-school program. 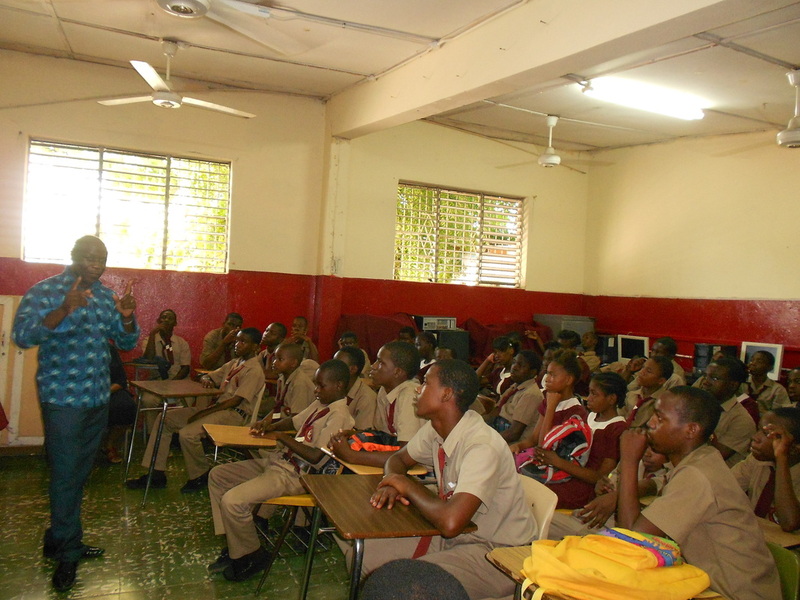 Volunteers assist students with homework, remedial programs and certifying GSAT, GNAT/ROSE and CXC exams. 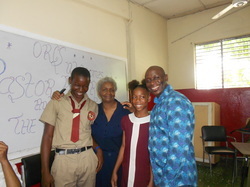 A former high school volunteer teacher won the TVJ “My Teacher, My Hero” award in 2004 after being nominated by a student in his after-school class. Students, whose behaviour merit special consideration, may obtain sponsorships for school fees, uniforms, books, lunch money, bus fares and other school expenses. The after-school program also connects young people with mentors who are positive, caring role models. In a community filled with gloom and limited opportunity, each mentor offers encouragement and hope. Although education enhancement is the school’s primary focus, behavioural problems are common with a majority of students. Therefore, intervention into the lives of hopeless, disillusioned children and young adults in the form of counseling and spiritual guidance are also integral components of our curriculum. Life skills are also stressed as many students have very poor self-esteem and self-worth. It is our desire to develop more programs and interventions to change these poor perceptions of self. Pastor Peter Nembhard from A Radical Church (ARC), London has the attention of our students as he shares a very powerful testimony! 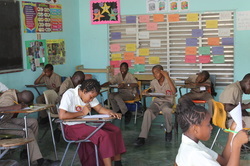 The school operates a vibrant summer program for three weeks in July and two in August for children at the basic school level through high school. Free tuition and meals are offered to students, many of whom enroll in the remedial school at the end of the summer. Support for our summer school has come from volunteers locally and abroad. We always look forward to the extra help. Volunteers are encouraged to develop sporting, art & craft or performing arts activities in order to engage children and teach them important life lessons. Those who are interested should feel free to contact the school in order to start organizing plans. Recognizing the need for stability within the community, Operation Restoration has sought to assist with various peace keeping initiatives through such programmes as Strong Women of Trench Town (SWOTT) which was founded as a community outreach arm of the ministry in 2003. 1. Partnerships with other groups, locally and internationally. 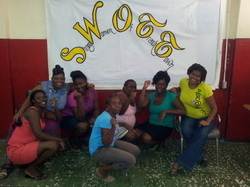 S.W.O.T.T artwork displayed at the Trench Town Trade Fair 2013 at Emancipation Park.